Officials with ONEOK, Inc. announced plans this week to construct a new 200-million cubic feet per day natural gas processing facility in eastern McKenzie County. The Demicks Lake plant and associated field infrastructure are expected to cost about $400 million and be completed during the fourth quarter of 2019. ONEOK also announced plans just a few weeks ago to more than double the processing capacity of its existing Bear Creek plant north of Killdeer. With completion of the two projects, ONEOK will have capacity to process more than 1.2 billion cubic feet of gas per day, which amounts to more than half of North Dakota’s current production of 2.1 Bcf/day. 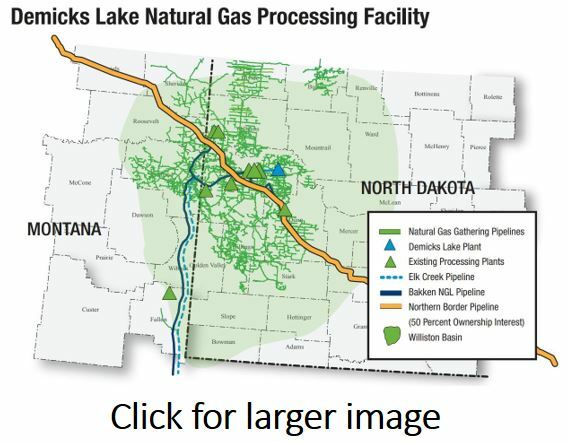 "The Demicks Lake plant will provide critical natural gas processing capacity to accommodate increasing Williston Basin production, helping producers meet natural gas capture targets in North Dakota," said Terry K. Spencer, ONEOK president and chief executive officer. ONEOK previously applied to the ND Public Service Commission for approval of the Demicks Lake plant in 2015. That application proposed a 400 MMcfd project. The ND Board of University and School Lands voted this week to give Marathon Oil additional time to develop a lease that straddles the western border of the Ft. Berthold Reservation. Land Department staff told the board the leased area is not only difficult to develop because it lies in rugged badlands, it’s further complicated by the fact the surface is controlled by multiple landowners. The state Game and Fish Department controls Section 16 in the area, located just north of the Little Missouri River corridor, which is prime bighorn sheep habitat. 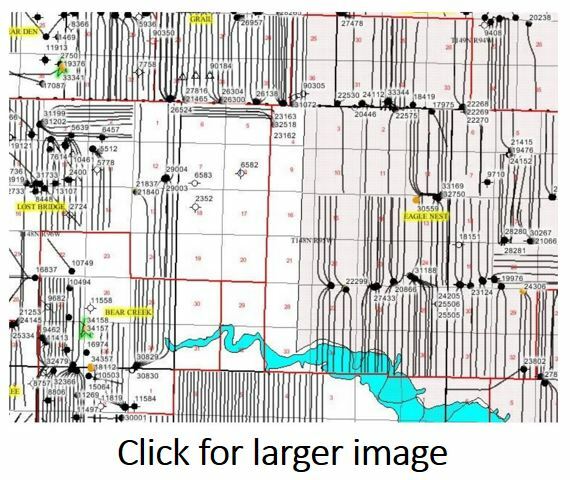 “The big problem is trying to find a surface location (to place a well pad) because of the impediments we’ve described,” said Drew Combs, director of the Land Department’s Minerals Management Division. The Land Board granted Marathon an additional 360 days to come up with a plan to develop the lease. In addition to the state’s interests, the surrounding lands are owned in fee and in trust by the Three Affiliated Tribes, various allottees, the federal government, and other fee owners, each of whom has their own interests and development plans. The current plan for development would have a well pad about three miles from these lands. Marathon plans to drill as many as 11 three-mile lateral wells in the Three Forks and Middle Bakken. Company engineers estimate there are 800,000 barrels of oil equivalent in the Trust lands portion of the lease. While most oil drilling activity in North Dakota remains concentrated in the Bakken core, higher oil prices are likely to mean companies will expand into “fringe areas,” according to the director of the ND Pipeline Authority. 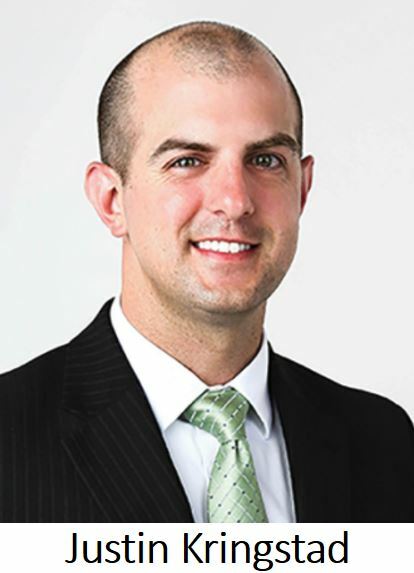 Justin Kringstad, who spoke at this week’s ND Reclamation Conference in Dickinson, told the group that he expects production activity will expand due to better drilling technology and higher oil prices. Kringstad’s analysis indicates the area where oil production may make economic sense has expanded 44% in the past year. Click here to see a slide presentation Kringstad delivered last month at a meeting of the ND Industrial Commission. The longtime head of the North Dakota Association of Counties announced plans this week to step down from the job after 35 years with the association. 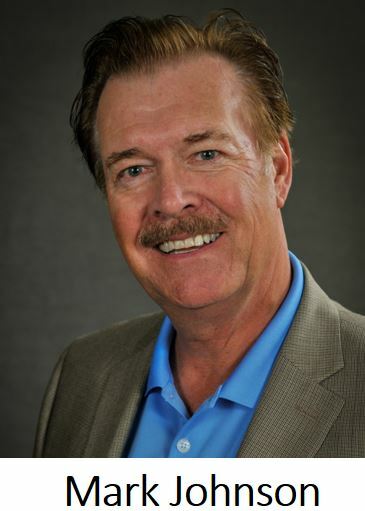 NDACo Executive Director Mark Johnson will officially retire on March 31. Assistant Director Terry Traynor will serve as the interim director until a permanent replacement is hired. Johnson led NDACo’s advocacy efforts for counties during legislative sessions, and over three decades has worked to create and protect funding mechanisms for local infrastructure and other county interests. Click here to read the NDACo announcement. Wildlife researchers are looking into the effects of oil development on populations of mule deer in western North Dakota, with an eye toward helping producers minimize the conflict. Jesse Kolar, Upland Game Management Supervisor with the ND Game and Fish Department, told attendees at this week’s ND Reclamation Conference that one of the main effects on mule deer is fragmentation of their habitat with roads, well pads and other infrastructure. Kolar and a research team have been studying mule deer populations primarily in the Little Missouri National Grasslands the past several years. They captured nearly 300 does, which they fitted with radio collars to track movement. Based on their findings, Kolar suggests producers provide a buffer of 600 meters around known mule deer habitat, especially important during certain times of the year. “The two most critical times for mule deer are going to be fawn-rearing in the mid-June period when all the does are having their fawns … and also in the winter when they’re at their lowest energy point, their fat reserves are really low, and that’s probably the most sensitive period,” he said. 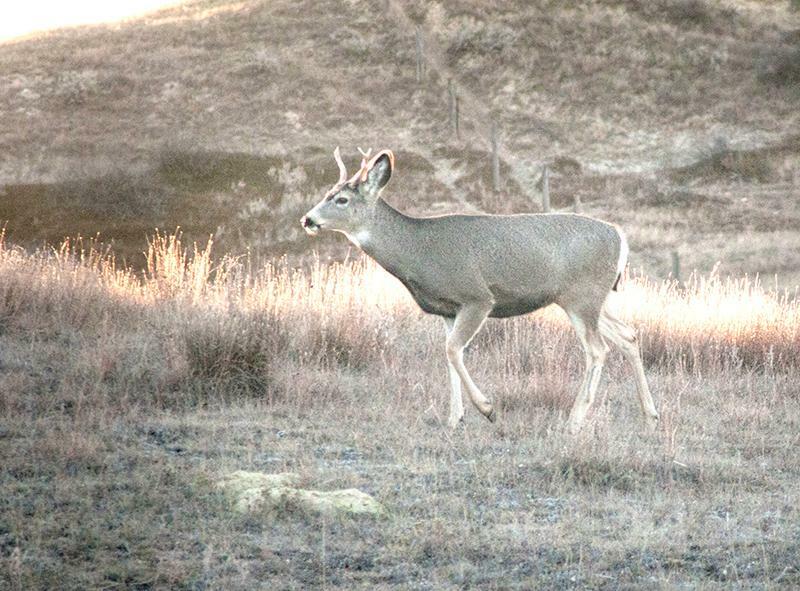 Kolar said no one expects rigs to shut down during June and the winter months, but producers should try to minimize concentrated drilling activity near mule deer habitat during those times of the year. Click here for a summary of some of the early results of Kolar’s research. The ND Board of University and School Lands is taking public comments on rules developed to govern its administration of the energy infrastructure and impact grant program. The rules were required by passage of HB 1300 by the 2017 Legislature. The department, which had previously been exempt, was included in the definition of "administrative agency" by the legislation, so now the Land Department’s operating procedures need to go into the rule book. Department staff provided an overview to the Land Board at a meeting this week. The rules were included in the board’s packet of meeting materials. The section of rules that address energy impact grants encompasses nine pages and can be downloaded here. Among other things, the rules provide for the formation of advisory committees, a procedure for scoring grant applications, payment of grants, and the timeliness of grant utilization. A public hearing on the rules will be held April 18 in Bismarck. With continuing drought a distinct possibility, members of the ND Legislature’s Water Topics Overview Committee are keeping a watchful eye on the state's water resources. Patch said there could be supply challenges this year if precipitation remains below normal, more wells are drilled and if hydraulic fracking operations continue to increase water supply needs. 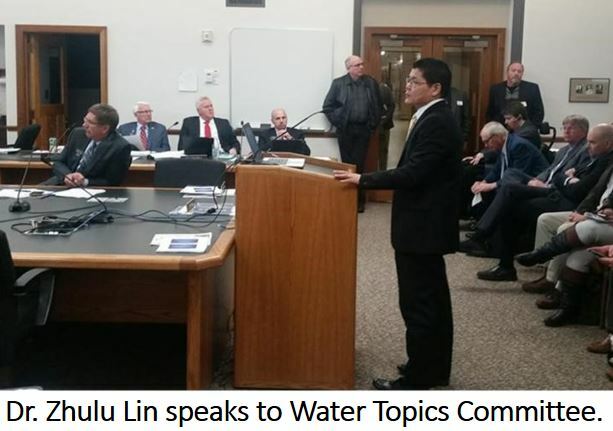 NDSU Assistant Professor of Agricultural and Biosystems Engineering, Dr. Zhulu Lin, briefed the committee on water use in the Bakken. Lin’s presentation showed that prior to 2012, more groundwater was used for fracking than surface water. But that situation reversed after 2012, so surface water is now the industry's go-to source. “Ground water sources cannot be relied on," Patch said. "It’s all about the Missouri River and Lake Sakakawea." Click here to see a summary document of Dr. Lin’s research. Available water is a concern in Saskatchewan along the Souris River and its impact could be felt in Ward County. The National Weather Service says there could be drought this year in Ward County and along the Souris River drainage region. Click here for more on the story from the Minot Daily News. 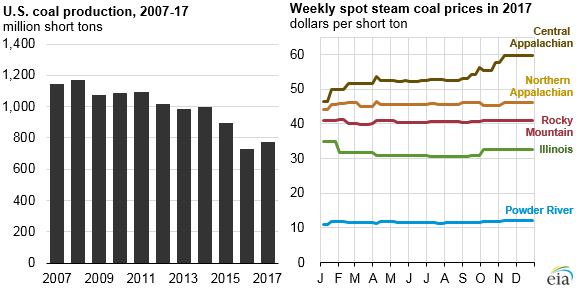 The Energy Information Administration reports that last year the U.S. saw its largest year-over-year increase in coal production since 2001. Total U.S. production in 2017 was expected to reach 773 million tons, about 45 million tons higher than in 2016. Coal production grew in all five of the U.S. coal-producing regions in 2017. Click here for the summary from the Energy Information Administration. 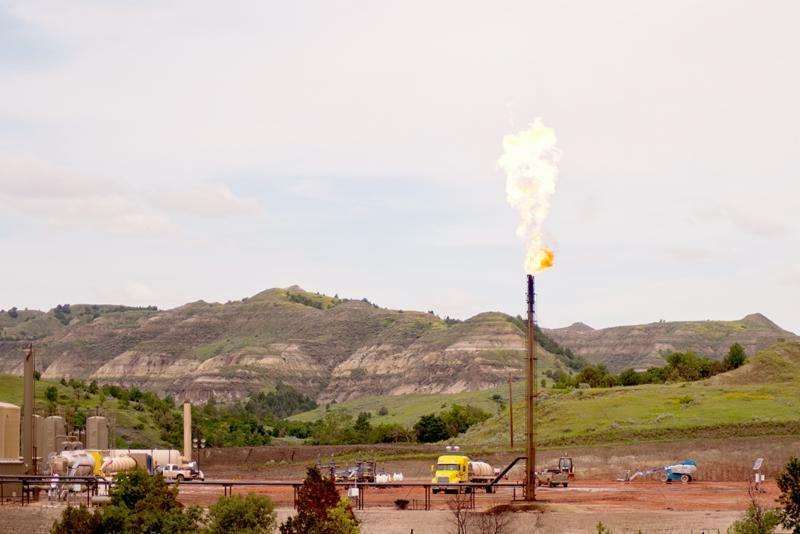 The North Dakota Petroleum Council has resurrected a task force to focus on capturing more of the natural gas associated with Bakken oil production. The Natural Gas Capture and Infrastructure Development Task Force will look for ways to coordinate industry-wide systems to meet the state's gas capture target, which increases to 88 percent in November of this year. Department of Mineral Resources Director Lynn Helms has said areas of greatest concern are in McKenzie, Dunn and Mountrail Counties, especially on the Fort Berthold Indian Reservation. Members of the MHA Nation say they share the state's frustration. The NDPC task force will work with industry and MHA to develop a list of recommendations. 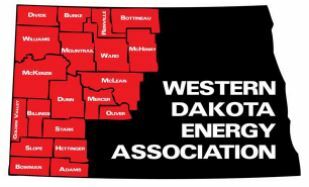 Click here to read the North Dakota Petroleum Council news release. Click here to read an article about the flaring task force in the Williston Herald. A new natural gas pipeline system by Andeavor Logistics (formerly Tesoro) is under review by the ND Public Service Commission. The 44-mile pipeline would move natural gas liquids from near Watford City to a rail terminal west of Belfield. Click here to read Amy Dalrymple's article in the Bismarck Tribune. The ND Department of Emergency Services is reaching out to the public to determine what types of hazardous materials are being transported on North Dakota’s roads, railroads and pipelines. The goal of the project is to provide emergency responders information to prepare for potential accidents to help affected communities if a spill or rupture occurs, according to Greg Wilz, outgoing director of the state Division of Homeland Security. The agency is particularly interested in hearing from the oil and gas industry because it is both a major consumer and major producer of hazardous commodities. 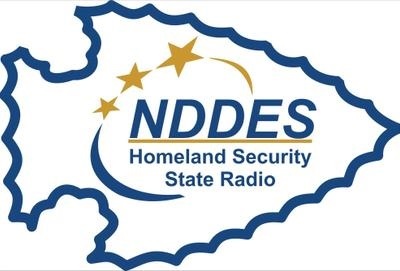 NDDES is conducting outreach to hazardous material producers, consumers, carriers and others. The outreach includes an online survey that asks how North Dakota’s transportation system is used to ship, receive, or carry hazardous materials, and what needs and concerns might exist. All responses will remain confidential unless a firm specifically gives permission to cite them. Click here to check out the online survey. 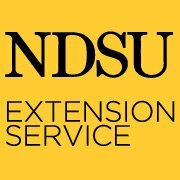 Landowners will have an opportunity to discuss their concerns and experiences with brine spills during a series of informal meetings hosted by the NDSU Extension Service. The meetings are open to all landowners interested in talking about brine spills. Space is limited to 30 participants at each location. The first meeting will be held February 27 from 9:00 to 11:00 a.m. at the Research Extension Center, 14120 Highway 2 in Williston. Other meetings will be held March 20 in Killdeer and March 27 in Minot. Tomi Lahren, political commentator and contributor on the Fox News Network, will be the keynote speaker at this year’s annual meeting of the Lignite Energy Council. The event is scheduled April 4-5 at the Bismarck Event Center. Lahren, who is scheduled to speak at 2:00 pm on the opening day of the conference, has roots in the Northern Plains. She grew up in a military family in Rapid City, SD, and was an intern for South Dakota GOP Congresswoman Kristi Noem. The LEC meeting will also feature the popular Mine & Plant Updates (for members only), as well as updates on legislation and regulations impacting the lignite industry at the local, regional and federal level. Vehicle travel on North Dakota’s highways increased 41 percent from 2000 to 2016, but the state's population increased just 18% during that same time frame. Twenty-six percent of North Dakota’s major roads are rated in poor or mediocre condition. Driving on roads in need of repair costs ND motorists $218 million a year in extra vehicle repairs and operating costs, about $400 per driver.